I hope that last line caught your eye a little bit; “in the fellowship of the church.” Stated right there in plain sight is an open and active acknowledgement that we aren’t lone rangers parachuting for solo missions to teens but an active part of the wider body of Christ as we seek to bring the Gospel to our cities. I can’t guarantee that all para-church staffers feel that way, but I believe most do and I’d encourage you to engage those in your city to give them the opportunity to share their missional focus and strategy, you’d probably be very encouraged. Before I go any further let me briefly say that the title “para-church” is unhelpful but for sake of semantics I’ll keep using it. The goal of this article is to shed light on some possibility of engaging on mission locally that might be right under your nose. They’re already doing it! They’re already sold out on the ideals of mission & service. They’re “people of peace” that are already believers and already surveying the land with favor from administrators, coaches, teachers, etc. and most likely want and need people to help them reach a campus with the gospel. They could save you a ton of time and help you identify needs and areas your church or MC could rally around to bring Good News to somewhere in your context. You might make a dear friend. I’d bet you’ll find more in common with a para-church staffer than you might find with “the pastor around the corner.” As I noted in #2 most parachurch staffers if they heard the vision of a church on mission or missional communities they would understand immediately and maybe even dive in to leading an MC with you. You may also find a lifetime friend, I have. As a para-church staffer I’ve made some best friends that are institutional pastoral staff that wish they could do what I do each day and I’m a safe place for them to think through their ministry plans, life, etc. I’m constantly reminded that God’s mission is way bigger than my ministry & localized efforts. 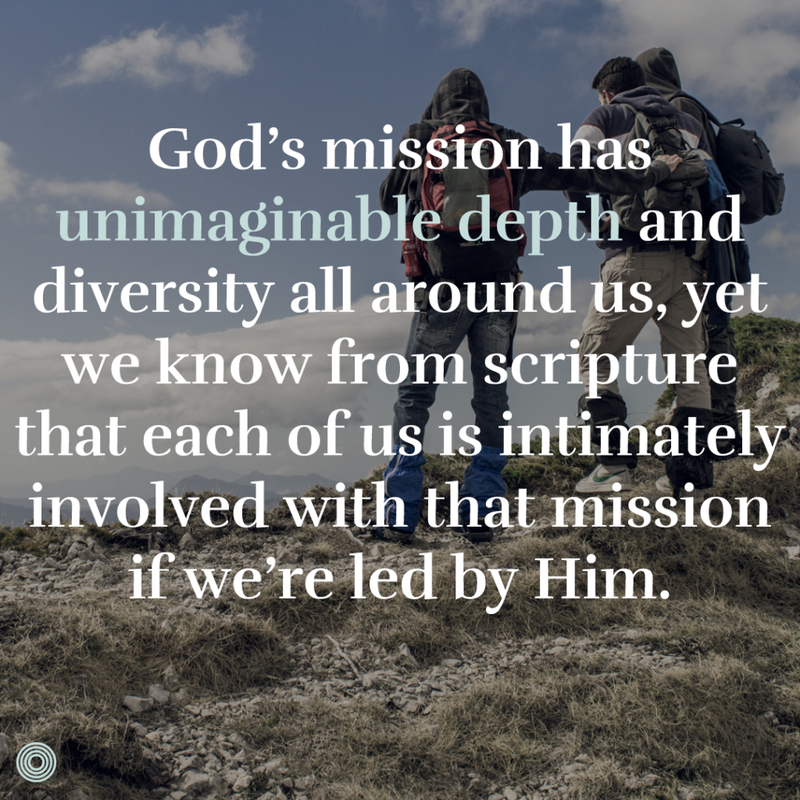 God’s mission has unimaginable depth and diversity all around us yet we know from scripture that each of us is intimately involved with that mission if we’re led by Him. Maybe this is an opportunity to pray about who around you might already be working in the fields God has sent you to. It could be an existing para-church type or non-profit that could be a huge ally in the Kingdom. We need all of the body of Christ to achieve gospel saturation. **If you’re in an area with FCA staff or even if you’re not sure and you’d like help to connect, share some vision, or anything else please don’t hesitate to comment/reach out. Tim serves as an Elder/Pastor with Surfside Church (formerly Groundswell Communities) where he and his wife Allison lead a Missional Community in Encinitas, California. Tim also serves as the San Diego Coastal Area Director with Fellowship of Christian Athletes (FCA) where he works with students, athletes, & coaches. Additionally, Tim coaches defensive line at a local high school and serves as the football program Chaplain. I so agree! 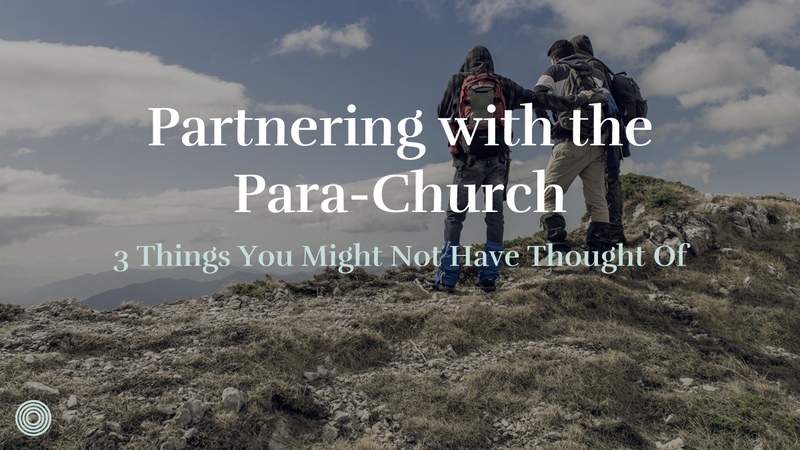 The terminology “para-church” is so unhelpful! !…I am so grateful for Saturate, this article, Alan Hirsch, etc. who have worked to shine light in this regard. I love telling people, we ARE the church! I am part of an organization, 513free.com, considered to be “para-church” by ‘local gatherings’ who try & hijack being ‘the church’ all to themselves, but offer little more than donuts, 20 minutes of music, & 30 minutes of dissertation. We just keep loving them & helping them to equip their gatherers to be the body of Christ 24/7!